I have learnt much from my maternal grandmother (nani). A large part of who I am is because of her. What she taught me about drive and commitment at age 8 is something that makes me – me! I grew up with my nani making clothes for me and I learnt the basics at her knee. I am no seamstress but I can hold my own. My nani and my masi (maternal aunt) Kamaljeet Deol are the inspiration behind my stitching. It was my masi who taught me to stitch Kurta’s and the like. I remember trips to the market buying cloth and then coming home and seeing it laid on the dining table being cut. Those were some of my first memories of the idea of possibilities. 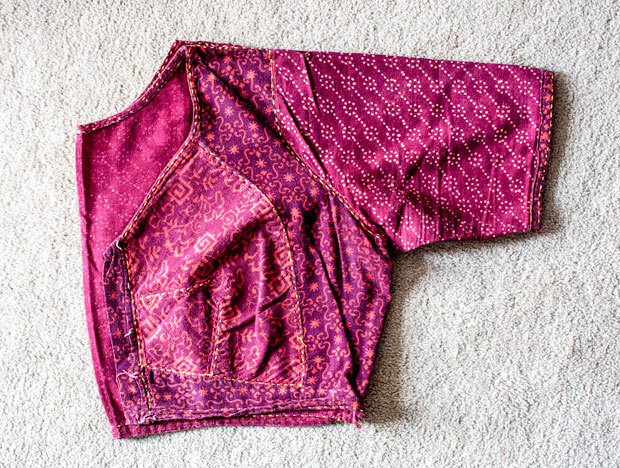 I started by making clothes for my dolls which then progressed to making simple A-line kurta’s for me. My first ambitious project was a bra. Yes, a bra. I was 16. I went to the local tailor and picked up scraps from his shop. Came home and completely took apart an existing bra and then put it together with fresh cloth. That first bra was made in pink and blue brocade. And when I showed it to my parents, they were flabbergasted to say the least! I then made some newer versions with a halter neck and cross over tie straps. I still have one of them. Does not fit me anymore but it’s there! And no I will not be posting a picture of it – so don’t ask!! 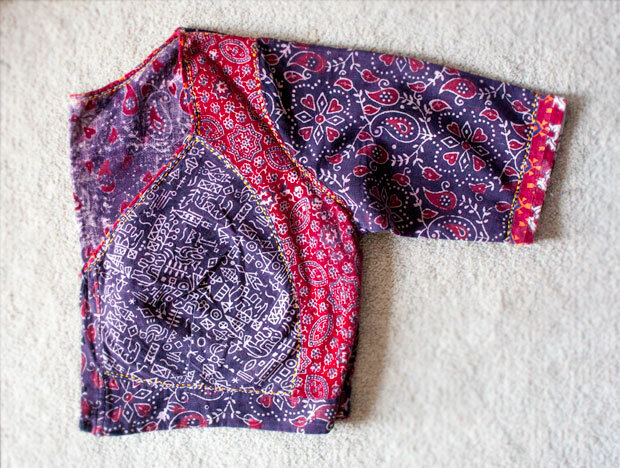 These blouses are about 20 years old – so pardon the state they are in. They have being lying in that box for me to take the time to cut out a fresh master pattern!! 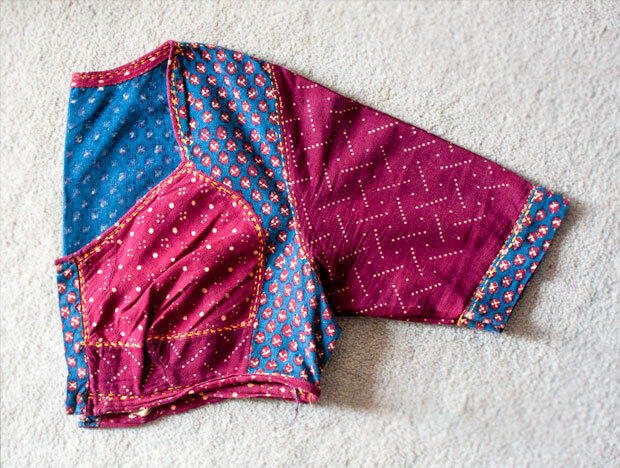 And each one of those cloth pieces you see was a kurta I made for either me or my mum. 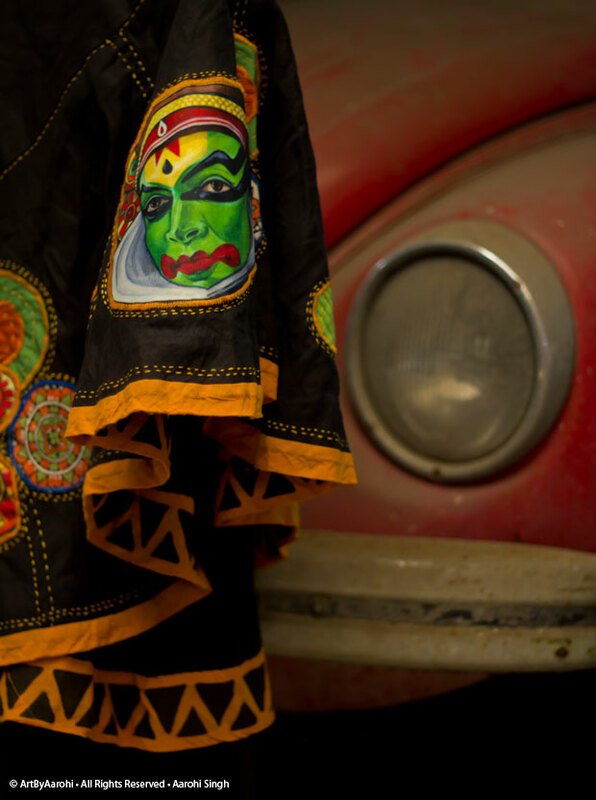 The blouses were made from the remnants of fabric left over on the sides after a kurta had already been cut out from that fabric. Now coming to the present. I love wearing skirts. They make me feel very feminine. And with a figure like mine which is best described as generous, the skirts need to be of a particular cut. In the mood to take my art and craft to the next level I got to work on a few skirts. The aim was to translate what I paint on a kettle further on to a skirt. What would I do. How would it look. This and much more was the inspiration behind this next set of skirts. They are a proof of concept as yet. Dyed to my specifications at a local shop and then painted in parts, appliqued and embroidered by me. 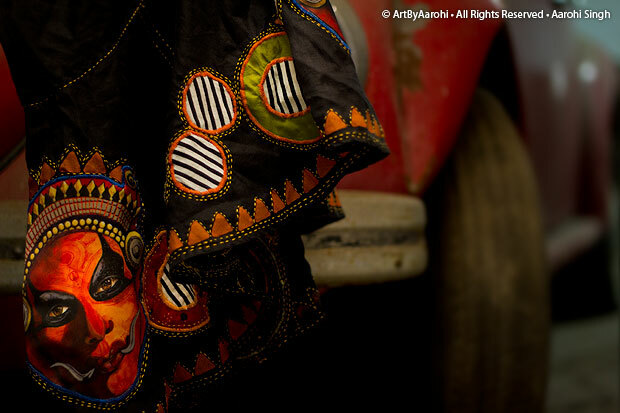 There are bits from old sarees and left over cloth, even a little bit of an old table cloth!! And the pièce de résistance is the use of my paintings as small digital prints. I am sharing two skirts with you – the others will come in later posts. 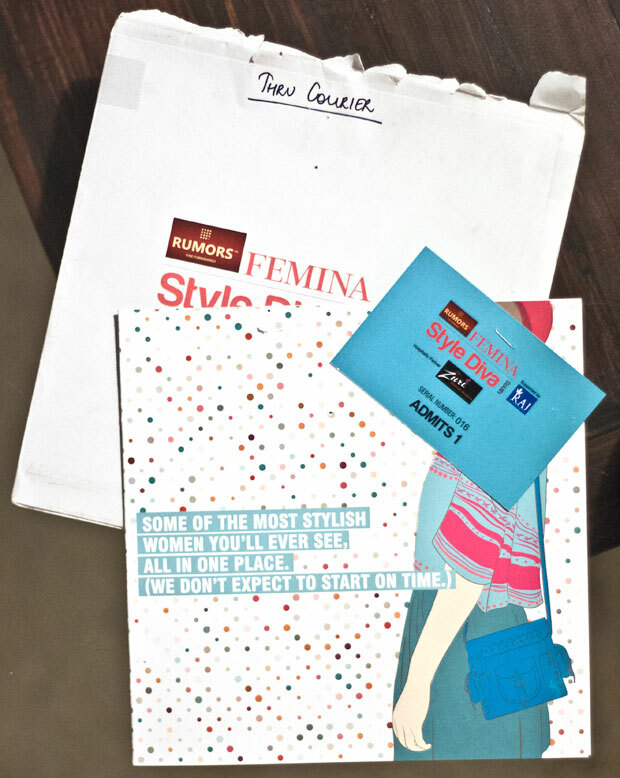 The outing and the skirt’s first public viewing was the Femina Style Diva affair here in Bangalore. With me in the picture is my dearest friend Divya Chauhan, an ex-Femina Miss India herself for the year 1997. This entry was posted in Acrylics, DIY, Effortless friendships, Graphic, Kitsch, Re-use, Re-work, Upcycle. Bookmark the permalink. Aarohi, You are truly a class apart..! blinding bundle of talent, and I mean every bit of it. One has over the course of this last year seen you work a concept across diverse media and all with equal panache. 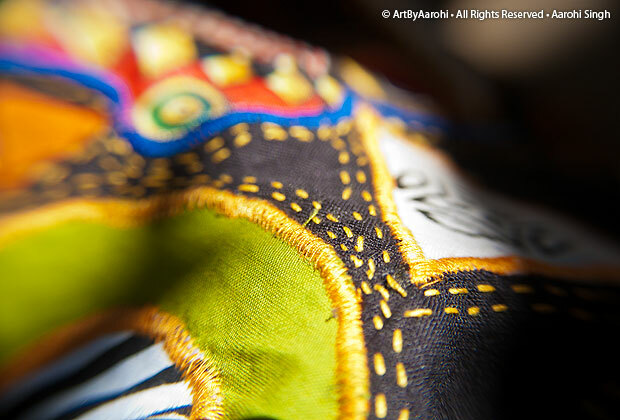 It takes total immersion in your craft to be able to achieve what you have done with Art by Aarohi. Love the skirts and the patchwork blouses. Would love to see that bra! Yes they are Parvati. But wait a bit – let me get the lot of them done and then will post for sale. But thank you so much for inquiring – makes me feel wonderful. What a great way to start a morning! Nice Skirt Aarohi!! Looking forward to your collection.. Thank you Vidya 🙂 And it is going to be out soon – I promise!! 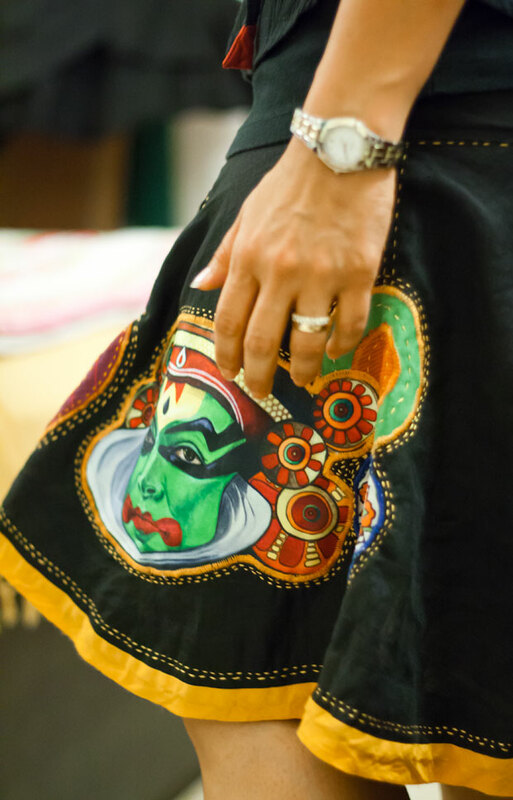 Do you have a kathakali saree? I don’t have one right now but would be happy to custom make one for you. You can write to me on [email protected] with your specifications. Wow – I have just stumbled upon your beautiful creations, Aarohi and am blown away! Think folks here in Denmark would love to see your creations! That is so kind of you to say Anu… I should have my e-store up and running in a few weeks. Do check back.